Google's Android operating system continues to make gains against Apple's iOS around the world with market share data indicating that Latin America and Europe are in Google's camp. In Brazil, South America's largest economy, Android commanded a strong 89.7 percent market share during a three-month period ending in July, according to Kantar Worldpanel ComTech data. Apple's iOS, meanwhile, lagged far behind with only 4.6 percent. Windows comes in third with a 3.7 percent market share, and BlackBerry has dwindled to 0.7 percent. The numbers show an increase from the three-month period ending in June for both Android and iOS. 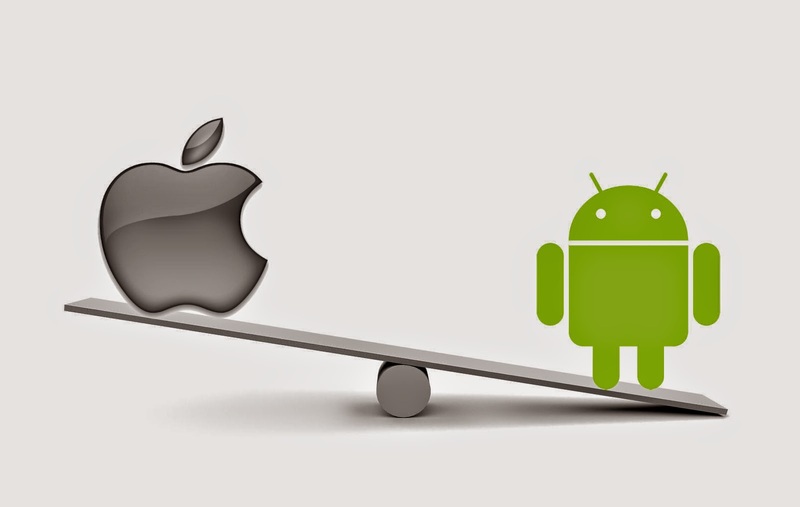 Android increased by 0.7 percentage points, and iOS racked up the same gains. The story for Apple is even worse in Argentina. Android holds 86.1 percent of Argentina's smartphone OS market, but iOS has only managed to grab 0.3 percent. Instead, Windows comes in second with 7 percent, and even BlackBerry beats out iOS with 5.2 percent. Kantar Worldpanel does not have Argentina's smartphone OS market share data for the three-month period ending in June, but it does for the same time frame ending in May, when Android had 77.3 percent of the market and iOS had 0.6 percent. Both Windows and BlackBerry fell, showing that Android has clearly siphoned users from other operating systems. In Europe, Android continues to hold the same stranglehold. According to Kantar Worldpanel, Android has a 60 percent market share in Great Britain, 87.5 percent in Spain, 82.4 percent in Germany, 75 percent in France and 74 percent in Italy. iOS, meanwhile, has a 28.6 percent market share in Great Britain (its strongest European foothold), 6.2 percent in Spain, 9.5 percent in Germany, 14.3 percent in France and 11 percent in Italy. Dominic Sunnebo, a strategic insight director at Kantar Worldpanel ComTech, believes Android's growth can be attributed to smaller manufacturers adopting the platform and giving consumers more budget-minded options. "Android continued to grow its share across Europe in the second quarter of this year, thanks to smaller manufacturers such as Wiko, Huawei and Alcatel OneTouch pushing the platform," Sunnebo said in July. "Samsung still remains the dominant manufacturer of Android handsets with a 44.1 percent share across the five largest European markets. Meanwhile, Apple's share of the European market remains fairly static." Google's Android will be powered by even more handsets that will release this fall, such as the Samsung Galaxy note 4 and a new Nexus device, but Apple has something to look forward to: the iPhone 6. Anticipation for the next-generation iPhone is high because of larger screen sizes, and it could help Apple regain customers who have flocked to Android because of the larger variety of options.